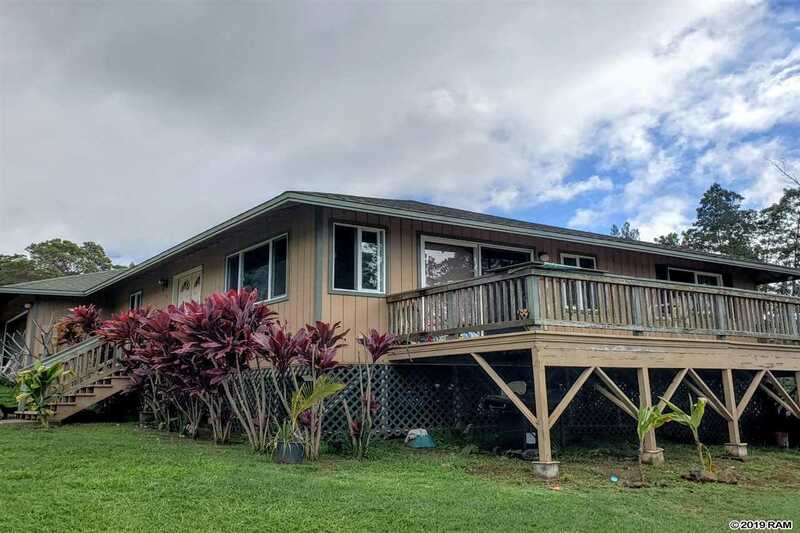 This spacious 2-bedroom, 2.5 bathroom home on half an acre conveniently located at the top of Pueo Drive is ideal for 50% Hawaiian buyers who have been on the wait list for way too long. The roomy kitchen with a breakfast bar and big pantry closet are open to a large great room with cathedral ceiling, lots of big sunny windows and a sliding door onto the sizeable front deck with glimpses of the ocean through the neighborsâ trees. The master bedroom is graciously sized as well with double closets and a private full bath. The open garage continues the spacious theme with a half bath and big window, perfect for outdoor gatherings. A bonus exterior structure with full bath on the edge of a lovely private gulch offers lots of fun possibilities. Only buyers already approved and on the list for Hawaiian Homes will be considered. Being sold as is. (Washer/Dryer and range not included). More photos coming soon. Please, send me more information on this property: MLS# 382197 – $450,000 – 133 Pueo Dr, Kula, HI 96790.